Caring today for seven generations of tomorrows. Laundry Detergent that's tough on stains, but gentle to your world. 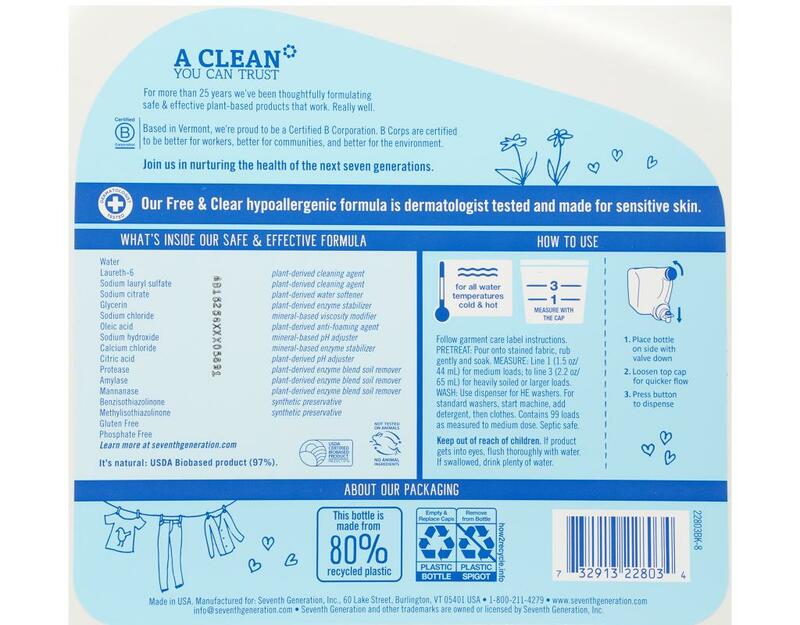 With no dyes, optical brighteners or synthetic fragrances, this natural laundry detergent gives you great results - even in cold water. 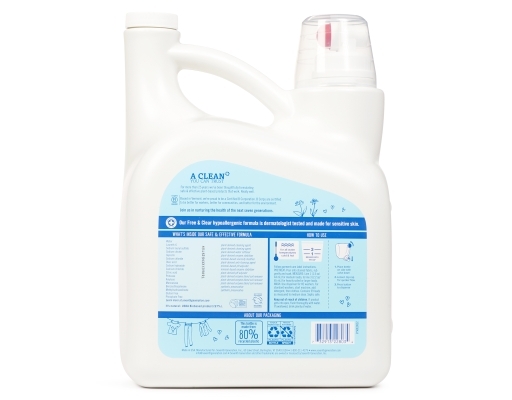 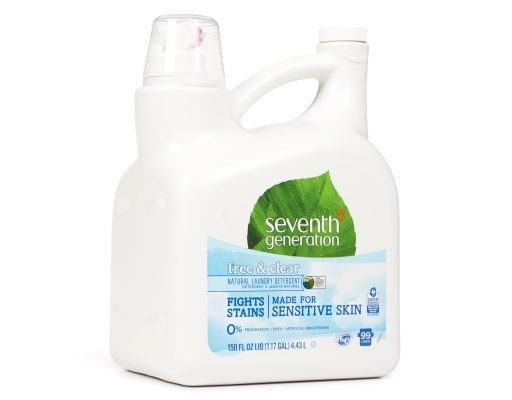 Fragrance Free laundry detergent removes 100% of visible tomato sauce and strawberry stains, and the formulas are not toxic to you and are biodegradable. • Optical brighteners are synthetic chemicals that make fabrics appear to glow in the presence of ultraviolet light. 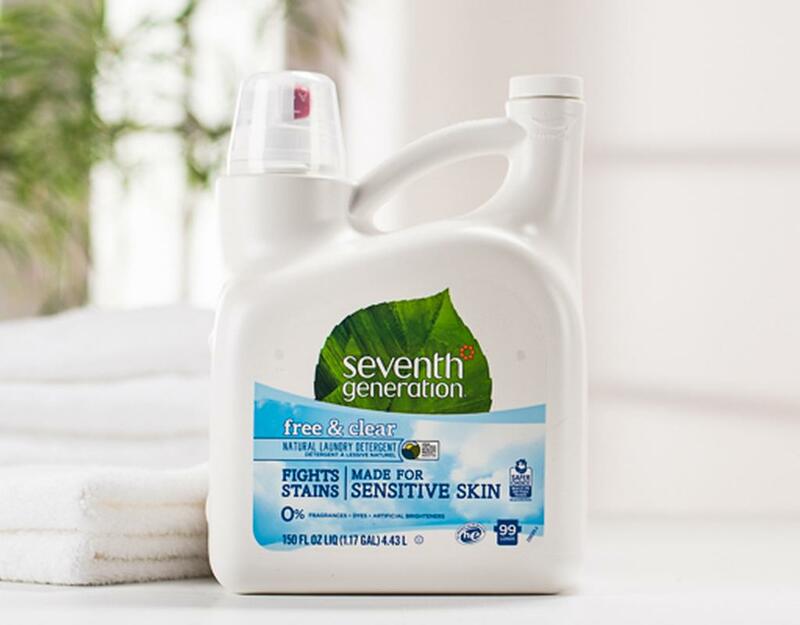 They don't have anything to do with getting things clean -- they're only added to detergents to make us think our laundry is brighter and whiter than it really is. 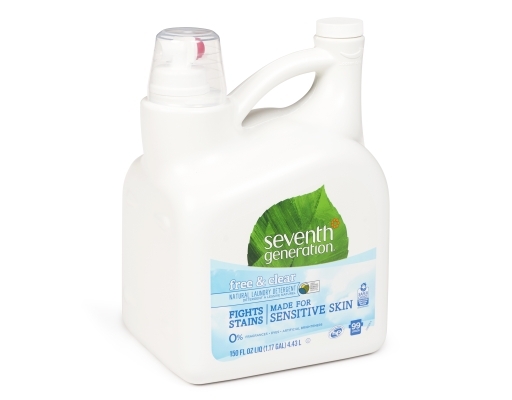 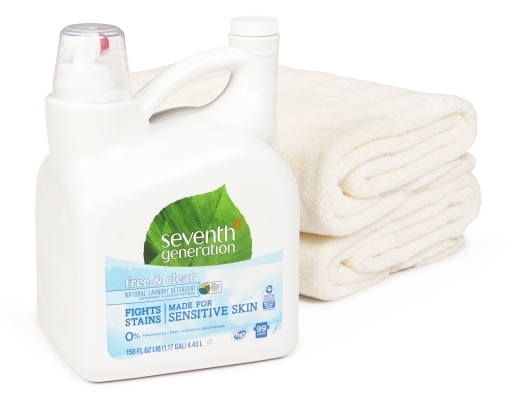 Seventh Generation laundry products contain no optical brighteners. 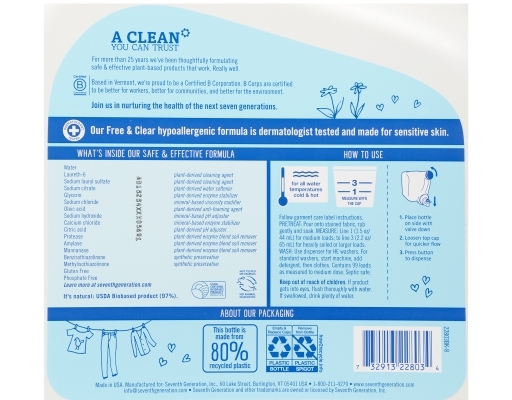 Water, Laureth-6 (Plant-Derived Cleaning Agent), Sodium Lauryl Sulfate (Plant-Derived Cleaning Agent), Sodium Citrate (Plant-Derived Water Softener), Glycerin (Plant-Derived Enzyme Stabilizer), Boric Acid (Mineral-Based Enzyme Stabilizer), Oleic Acid (Plant-Derived Anti-Foaming Agent), Sodium Chloride (Mineral-Based Viscosity Modifier), Sodium Hydroxide (Mineral-Based Ph Adjuster), Calcium Chloride (Mineral-Based Enzyme Stabilizer), Citric Acid (Plant-Derived Processing Aid), Protease, Amylase And Mannanase (Plant-Derived Enzyme Soil Removers), Benzisothiazolinone And Methylisothiazolinone (Synthetic Preservatives).